Awesome and so very true. Happy V-Day Matt. Happy Valentine’s Day, Matt; this year, the internet’s my Valentine, as well, and I’m glad you’re part of it. I’m giving you the Superman valentine. I always saved those for my favorites. And here’s some peanut butter Dove chocolates; those are the best ones. You just invented “a wistful” as a noun. And now everyone owes you a quarter every time they say it until the end of time. You’re going to have so much money to by peanut butter Dove chocolate now. I’m glad you’re part of it, too. Thank you so much for the Superman valentine. I’m psyched. Happy Valentine’s day! I’ve been thinking a lot lately about those Valentines boxes and bags we used to make in school and I love the idea of having a party and doing it again. It was always fun in elementary getting to do that and then having the afternoon party with candy and cookies and getting to play around all hopped up on sugar. Ah…those were the days! :-) Have fun with your kiddo this weekend and cherish each hug and snuggle (as I’m sure you already do). I promise to have as much fun with my son as we can squeeze into the weekend. And yes. Those were the days. Aww. I loved this post, Matt! Happy Valentine’s Day to you. I’m betting you and your boy have a great weekend, with lots of candy and fun! I wish you the same. Appreciate your note! A lovely post. Here’s to finding a little love on the internet….wait, no I didn’t mean it like that. Anyway, Happy Valentine’s Day! Matt, having grown up in a crafty, creative house and a crafty school, my Valentine’s were always homemade. Red or pink construction paper, lots of lace doilies cut up and pasted on. Handwritten notes with messages reminding my classmates and friends that I appreciated them. Since I too am without a recipient of one of those handmade cards, that’s what I’m taking with me today – my appreciation for my friends and classmates and writers of blogs. You are not alone….. I appreciate that you didn’t take shortcuts. I hope you wrote extra-nice notes to the people you liked the most! Fantastic, Matt. What got me was the “how someone makes you feel.” HUGE red flag. It can sometimes be thing that makes you forget how to treat either that person (individually, openly, honestly) or anyone else you claim to like (or even love). And further, what’s great is we’re all learning. Today hurts for me because five years ago, I had a memorable V Day with my ex, but more for how I REMEMBER she made me feel. If I think clearly, she was hurting at the time. I failed to question it and put our relationship to the test. For failing that, she went with Guy B. Ugh. But I’m also sure it was for many other reasons than just me. As it often is. People are complicated. So, today, do something nice for someone you like. Reach out. Do something nice for yourself, knowing that because you did that, someone, someday will be the benefactor of your self-generosity. A reminder to keep breathing. What a wonderful comment. Thank you so much. I don’t know how you do it. Really. You know how to bring my heart to my throat. There is something … Something about knowing I am not alone on this road. That someone else is there. And understands. Feels what I feel. Wants what I want. Knowing that if someone else knows and understands and feels, then, I’m not dumb …. Or selfish….. Or alone. You do that. I’m not looking forward to today but you’ve definitely inspired me to be on the lookout for “I”‘s dotted with hearts. Special tokens that are just for me. Reminders that my life is still awesome and blessed. It would be a lovely party, I think. Not sure the juice will be worth the squeeze for a lot of cross-country traveling. Perhaps we can coordinate a series of regional parties in several places simultaneously. I’m so good at being organized and not procrastinating that this should be a piece of cake. Again. Thank you for saying nice things. Really nice things. I know you get it. All the deep-down stuff. And I’m sorry you do. I don’t want people to get it, but it feels nice for everyone when we realize it’s not just us. I’m so grateful that you “feel” something when you read these things. And I’m so grateful that you take the time to say so. Happy Valentine’s Day, young lady. To heart-dotted “I”s. From one guy to another, Happy (Saint) Valentine’s Day. It’s interesting to read everyone’s take on this day, their stories for the better or worse, because every word written seems to be more honest. We could expect nothing less, since this is a matter of the heart(s). I’ve only gotten one bonus note in my life, and that was in fourth grade. Never found out who it was, however. But should I have one later, I’ll tip a pint glass to you. You’re a good man, and celebrate proudly with your son. Thank you, Chris! And to you, sir. Having a bunch of those sounds awesome. Maybe this weekend. Awww…isn’t that just the sweetest Valentine a faceless reader could ever get!! I get to celebrate twice, please don’t be jealous, it’s also my birthday. Essentially that means, I don’t need no stinking Valentine, I’m getting chocolate and flowers anyway. HA! Enjoy a weekend with your boy filled with mushy guy stuff!! We’re going to have a rad time. Happy birthday, Dawn! Yay, you! You don’t need no stinking Valentine! But I do hope you have an amazing time, just the same. Thanks!! Next year I see myself alone on beach with a cocktail and no kids!! Haha…that’s the fun of it!! Valentines Day is everyday. The hype for this one day is too much pressure. Remember those mailboxes in grade school? Sending carnations in High School? All it did was show who the popular kids were. The ones who got oodles of cards. The ones who ended up with bouquets of flowers. I thought of those who never got a card save for the observant teacher who made sure each child had a card. I remember the girls would be absent from school that day because there were never any flowers on their desk in home room. Valentines Day has it’s downside. Everyone needs to know that they’re special and LOVED everyday! Everything has its downside. Even the really, really good stuff. Valentine’s Day has all kinds of downside. Sad story about the absent girls with no flowers on their desk. When I was a kid, I wouldn’t have cared. And now, my heart would break. Thank you, Julie. Happy Valentine’s Day to you and yours. My first Valentine Day post D-Day. Wedding anniversary too. Have set the D.I.V.O.R.C.E going. Bought myself some flowers and chocolates. Written my own un-Valentine me poem wp.me/P1eteZ-eY .Oh, and never marry on Valentine’s Day…..
I’m going to try not to. Promise. Today can’t be easy for you. Thank you for being a part of this, and for sharing yourself with the rest of us. There are horrible ideas in this world. Lots of them. Eating chocolate is almost never one of them. Such a miracle that people read this stuff. Even more amazing that it’s sometimes done on the other side of the world. Thank you so much for saying hello. “One of the more-selfish life observations I’ve made as my years have advanced is how we gravitate toward people sometimes—not because of how much we like them (even though we do! )—but because of how they make us feel about ourselves. The saddest thing that can happen to a relationship is to be all-in, devoted to it 100% and then to find out that the other person was totally manipulating you, building you up for the pleasure of knocking you down tomorrow. I can’t even trust that feeling any more because it could be (yet another) monster pushing all the right buttons to lure me into his trap. This year the internet is my Valentine, too, and so far it’s a really good day! You deserve all the really good days you can get. I am so glad today is one of them. Here’s to all the goodness continuing. Really appreciate you. I will be your Valentine and next year, I’ll be at your singles party. Happy Valentine’s Day, Matt. I love you too. Except for height and gender. Other than that, we’re exactly the same! Happy Valentine’s Day, Rachel. I mean, Tall Rachel! That was so sweet, Matt. Happy Valentine’s Day to you too! Seeing as how I don’t even celebrate (or care for) Valentine’s Day, you should feel pretty special that I took a moment to say that. Haha…I’m kidding. I do appreciate you though and hope you have a wonderful day with your son. Scroll to the very bottom picture. That’s my contribution to your VD distress. You’ll get it as soon as you see it! And I don’t have any VDs!!!!!!!!!! Thanks for sharing, Kate. Hope you have a great day! This is my favorite Valentine’s Day post I’ve seen. I really can’t figure out how you do it, how you are able to turn anything into something profound and beautiful with your writing. I’m studying you and trying to learn… The community and support from this whole blogging thing is pretty amazing. Here’s to you and your boy having a beautiful Valentine’s Day together (raising imaginary glass). Thank you for saying this is your favorite V-Day post you’ve seen. That really means a lot. I think it’s funny that you find anything profound or beautiful about any of this. But like anything, I suppose it’s in the eye of the beholder. I care that you care. I care that you like this stuff. And I can’t thank you enough for saying so. I hope you and your family have a wonderful Valentine’s Day and weekend, Gretchen. Hi Matt – thanks for your kind words. Even though we haven’t engaged all that much here on MBTTTR, you have been in my thoughts since WordPress profiled your blog the end of January. I’ve read your ” oeuvre” cover to cover. Happy Valentine’s day, from a latecomer. And I hope the weekend passes with as little emotional hardship as possible. You know, the first Valentine’s day since the bomb went off – the anniversary effect and all that jazz. I can’t believe you read every post. Some people do that. I hope you think I’ve grown. I hope you think I’m better today than I was six months ago. At everything. Thank you for doing that. And saying hi. And caring. And wishing me well. I think it’s going to be a really nice weekend with my son. And in truth, I hope the former Mrs. can find a way to have a beautiful weekend, because that little boy gives me an unfair advantage. You’re sweet, Maggie. Thank you so much. They’re random dates. Because those random dates when you appreciate someone mean more than the calendar stamped ones. Thank you, Lara. I hope whatever your plans are involves copious amounts of fun and happiness. Please have a great weekend. Happy V-day, lady. Thank you for saying hi. I’ve been quietly following your blog for some time now. It’s my first Valentine’s Day too. I hope you enjoy it with your son, I plan to enjoy mine with my kids. You are an inspiration, thank you. Thank you very much. For quietly following along. And for not quietly wishing me well today. I certainly wish the same for you and your children. I appreciate this note very much. An awesome Post, Matt. And it means I get to celebrate Valentines Day twice, because I live in New Zealand and it was V Day here yesterday! ooh, maybe you could help your son make a Valentines Day card for his mum? just a thought…. Happy Valentine’s Day to you as well. I didn’t know you were a Kiwi! When you do get to New Zealand – you would be more than welcome to come stay with us! That’s very nice! Thank you! Perhaps, in these crazy and busy times, we need that glowing billboard-esque reminder. AND, why is it purely focused on love between two adults (or teenagers or whomever)??? Maybe a day dedicated to love should not be limited in these ways. Why not turn this day into something else? That’s what we did – here in Ontario it is Family Day weekend, a long weekend designed to ease us through the once painful February drought (previously the only month sans a long weekend), anyways we’re having a weekend of indoor camping and movies. – Let’s celebrate the love we are and share that with the whole world! Thank you very much, Steffi. I hope it was a beautiful day for you. This was a super-nice note. I really appreciate it. A lot. You are really very nice and sweet and I really, really liked the candy you gave us today… Have a wonderful Valentine’s Day with your son… enjoy a great weekend! We love you! This was both funny and sweet! Thank you very much for making me smile. Kids this weekend. My ex is actually taking them for an extra day too. Even though I have them all the time, it still made a “oomf” in my heart when she asked if she could. Maybe it’s about the money. I’m going to be alone today and alone on Sunday. I’m whining so I guess I better make Saturday count. I know all those feelings, sir. I wouldn’t dream of pretending to understand your life and preferences. But 100-percent of the time? I’m happier being out and “living” than I am being cooped up alone in my house. Maybe go feed off the energy of others tonight. Have some drinks. Adventures happen that way, sir. Really appreciate you reading, Dan. It’s my pleasure, if I, in fact, actually do those things. :) Happy Valentine’s Day. Tricky subterfuge? A clever ruse? A covert attempt to make me and others think something is true that actually isn’t? It wouldn’t be the first time someone used double-reverse-reverse psychology to manipulate people. Like having crushes on super villains. And robot murderers. All of the above. Obviously. Cat’s out of the bag now. I’m also the deviant mastermind behind the “missing left sock” debacle. We almost had an “ah-ha” moment, just now. And I was super-excited. All my missing socks are righties. Happy Valentine’s Day to you too. I’m in the same boat as you as it’s my first post-divorce V-Day and I would either have my kids (yay!) or be “alone” and probably working. Turns out I do not have my kids. Luckily my brother & sister-in-law got me a concert ticket for tonight. Yes, I’m still technically a single among couples but at least I can enjoy live music and drink to my heart’s content (or my liver’s capacity at least). Enjoy your time with your son & thanks for writing. I hope you have an amazing time tonight. :) Would love to learn who you’re going to see. Regardless, have lots and lots of fun please. Thank you so much for the note. I’m seeing The Airborne Toxic Event at the Fillmore in Detroit. I was given two tickets for Christmas but actually couldn’t find anyone to use my other ticket. How’s that for a Valentine’s Day burn? I am with four other people though so not actually alone alone. That would be exceptionally pathetic. I know of them. I have a friend who adores them. Just have fun. Have your drinks. And have a spectacular night. One of my many sister’s was going to use my other ticket but backed out….yesterday. Date? What is this date thing you speak of? An urban legend! Like unicorns. Like flying unicorns. Did you love The Airborne Toxic Event live? Anybody good open? Good point. I guess multiple horns would invalidate the uni part of unicorn…that would have to be a polycorn. I did love Airborne Toxic Event! I got pretty close to them too, just a row or two of people from the stage. Normally I’m all about personal space but at concerts….nope, no such thing. There’s nothing like jumping around to live music with a bunch of strangers. The opening band was Cutlass. They were so-so but they did some decent covers. Polycorn. Multicorn. We have options. Yes it is. I try to go to at least a couple shows a year. My problem is usually finding someone to go with me. Not many people I know share my taste in music. I actually do have some fun planned for today too. It’s one of my son’s birthday & I’m getting my kids for a couple hours and going swimming. I hope you also find something fun to do today. Good choice. We saw it last weekend. I was at least as excited to see it as my kids were & it did not disappoint. I was just thinking about this. I was thinking about reminding all of my single friends (or friends who aren’t single but aren’t feeling it) that there are so many people out there who do love them. Maybe it’s not romantic or sexual, but it’s love, and the significance of that shouldn’t be underestimated. Have a wonderful weekend, Matt, and thank you! Too nice. Sometimes the words are too nice. Thank you, Gail. I hope this weekend provides a lot of fun and happiness for you. I really appreciate all of the kind words. I need to learn some new words for flattered. But that’s how I feel. So flattered that you care. This is a lovely post. And PS– your idea for a singles Valentine party is awesome. I would come to your V-Day party in a heartbeat….so to speak. Thanks for being on this page, and my, sir, you are a fine writer. Enjoy your beautiful boy. I love that you want to come. And that you think the words and sentences have merit. So sweet, Matt. I just read this, after a long day, and it’s already 12 minutes past Valentine’s Day, which I don’t like much, either. Single people at a party sounds like a good idea. In school, I didn’t get a lot of cards so the teacher made me one. I could tell. Hope you’re having a wonderful time with your son. And thank you for sharing a piece of your soul here. Real. Honest. Refreshing blog. Thank you. I don’t know how to invent parties. But I have 364 days to think about it. I really appreciate that you take a moment to read sometimes. I hope your long days wasn’t miserable. And I hope your weekend is outstanding. HOpe you stil enjoyed love day despite the hurt that goes with it. I just realized now, as i was reading this. i have never ever had a valentine!!! not once.. not in my teens because well, boys are stupid and i a dork and whatnot and in my early 20’s i’ve never actually dated anyone at a time that crossed with LOVE day. i’ve been single for 9 years (ignorning the last 3 where i had 3 attempts that just failed miserably) and i’ve always hated Vday. you know that typical bitter person that will say it’s too commercial, means nothing, just a fad? but this year soemthing change.. well a while ago really. when you’re in a relationship or you’re just aware of love, then love day is cute and funny and silly and it doesn’t matter that it’s just one day, because you still appreciate them every other day. i bought chocolate heart sweets and those musk sweet with the little love messages and i spent a good 30 minutes walking all around the office handing out these sweets and just shared my happy mood. Sounds like you did all you could to make it fun for you and others. And that you a good time as a result. Thank you for giving and being part of the good of the day for those people. And for us here. I liked getting that Valentine from you, I really liked it. I’m so glad, Dorothy. You’ve been very kind and supportive since finding me here. As much as anyone. I notice. It means a lot. Thank you so much for taking the time to do that. You’re so very welcome. You’re a generous and loving soul, maybe you doubt that, I do with myself, one of the aftermaths of divorce maybe. But I’m learning that being loving and generous is inherent, I just lost sight of it, then lost the relationship where I had the opportunity to give and receive it, only because I forgot and doubted, then I gotta go through this wrenching process of not knowing. Not knowing if I blew my only chance at love. I admire your process, I have faith in it, and I gain strength in it. Because you share it, I don’t feel alone. Because you articulate it, I don’t always have to find my own words for it. And, I find myself rooting for you. That’s the best part. It’s easy for me to feel certain that you’re on the right path, that you’ll find your way through this, and have the second chance to share your life and share in the life of someone else. The thought that follows…If Matt can, so can I! Because this is wicked tough, digging out the rot of what got me here, and replanting who I want to become, and then having a shaky faith that I’ll be able to share love again after squandering it, that I’ll somehow be forgiven for that and be given that second chance. So Cheers to you, and to everyone. We can’t be so wrong and forever lost, that doesn’t feel right, because we’re here, following Matt and giving our good comments, it shows me we’ve got good, loving, and generous souls, it’s inherent, it’s there, we’re getting back in touch with it, having faith in it, and preparing it to meet and embrace our second chance. Thank you for all of that. Thank you very much. I love your singles valentines idea. Brilliant! You’re in Ohio, so you can probably make it! I will be there with the cheesiest cards I can find at my local CVS. I was that guy who always said, “man this day is silly, a Hallmark holiday.” I never paid much attention to Valentine’s Day. Yesterday I was at the market buying apples and oranges. On the way to the checkout line I passed that section with roses, balloons and cards. The section I would scoff at. There was a large gathering of men there putting together their bundle of flowers. Some dressed in business clothes, making that effort after work to not go home empty handed. I walked by with my head down, jealous as hell. Perspective violently changed after we go through the metamorphosis on the inside. The only thing I know how to do is to continue to reflect on my missteps, understand WHY they were missteps, and make sure I never make them again should I be fortunate to have another opportunity. Some things are important. Others aren’t. I’m not sure I believe Valentine’s Day is important. But I’m damn sure reminding those we love that we love them through word and deed is critical to making it all work. And that’s what Valentine’s Day is. An opportunity to express what we fail to express every day. Just how much they’re loved and appreciated. Many, many men. Certainly myself, included. Don’t have that flowers-and-balloons moment you just had until it’s way too late. Here’s to happy endings (which is turning lemons into lemonade)! I really appreciate you reading and saying hello. I have grown. And will continue to. Thank you so much. 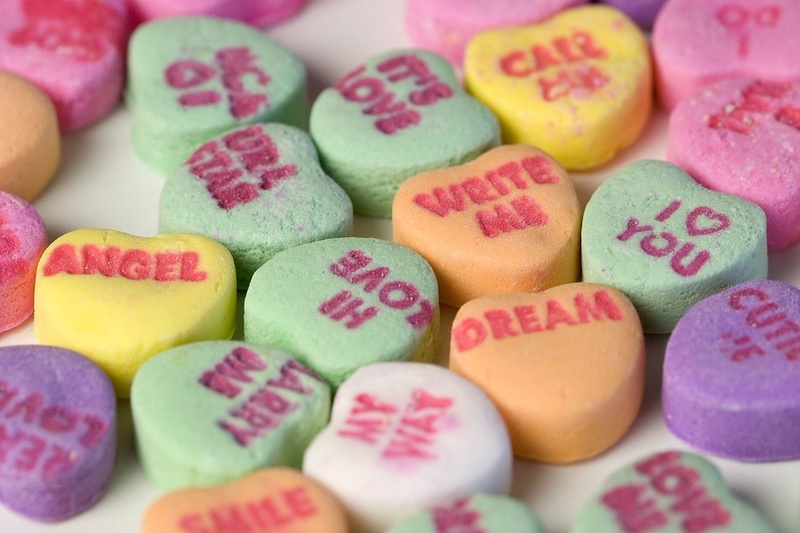 Loved every word, and the trip down memory lane – back to the classroom, those paper Valentines… The elemtary angst of worrying that I wouldn’t get one… I love the way you crafted this post… I actually said ” awww” out loud at one point. You make me want to be a better wife…Thank you Matt. You are a great Valentine! That’s a huge compliment. Thank you so much. I hope you’re having a great weekend. Thank you Matt. I bought and ate a lot of chocolate on Friday :) (and pretended it wasn’t Valentines Day). We didn’t do the thing with the boxes at school, your 2015 idea sounds good! Thank you. I might set something up!